The Marconi Obelisk is 147 feet tall, and located in the center of the EUR district in Piazza Marconi. 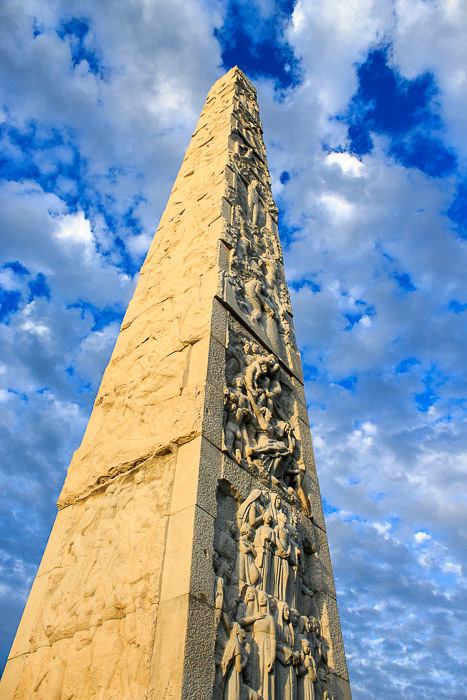 Built in 1959 for the 1960 Summer Olympics, the obelisk is dedicated to Guglielmo Marconi. 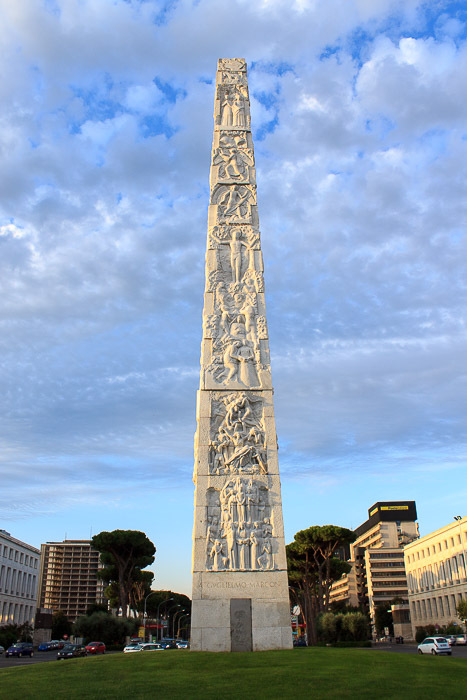 Modern hieroglyphics narrate the endeavors of inventor Guglielmo Marconi and other 20th-century triumphs in the 92 white marble panels that decorate this obelisk. While you're here, the Museum of Roman Civilization and Palace of Labor are nearby. See all Marconi Obelisk photos.